Welcome to the coolest selection of kids printables, including invitations, coloring pages, decorations and loads of original printable designs. 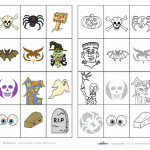 On this page you'll find a variety of printable Memory Game designs. You'll also find lots of creative ideas for using these printables on our Coolest Parties network of sites.